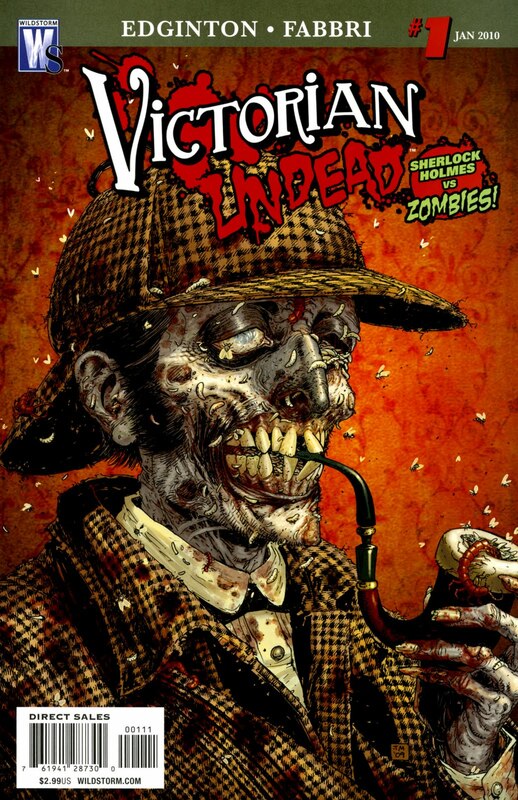 Ian Edginton, the man behind the likes of the excellent Stickleback and The Red Seas for 2000AD, lends his voice to the burgeoning zombie / history mash-up with his self explanatory ‘Victorian Undead’ – with Sherlock Holmes & Watson at the heart of the matter. What’s it like? Well, if you have a passing interest in Steampunk or Zombies then this is going to be right up your street, though nothing in it is going to convert you if you are a fan of neither (and maybe you need to be a fan of both to really get it). I liked it – the art gave us a feel for the Victorian era but with maybe a little to polish – I did not feel the grime and dirt at all. 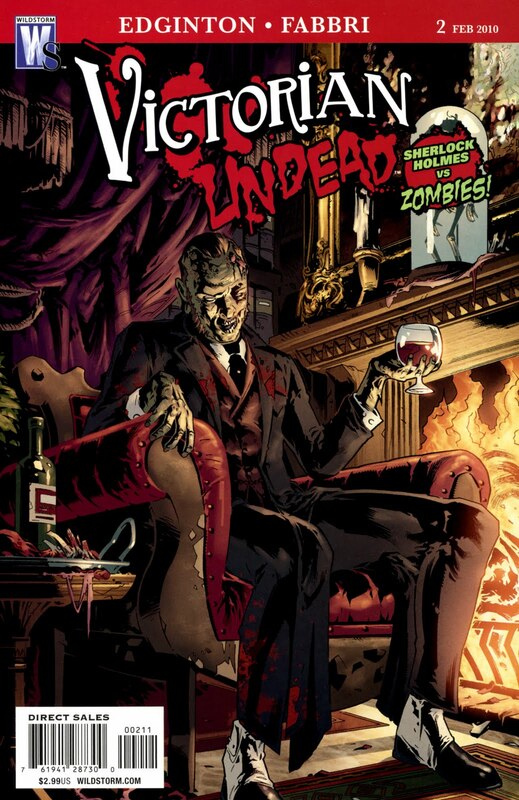 The rendering of the zombies was a bit perfunctory, but maybe you just get a bit desensitised to zombies in comics if you read a lot of these sorts of titles. I do read a lot of these genre titles. Edginton has an ear for the mode of speech of the time (not that I am any authority on the subject) – it felt authentic enough. The plot was easy enough to follow and built up nicely to a simmer – with the promise of more intrigue in issue #2. Is it worth your time? As i said previously, if you like zombies or steampunk then I recommend it. I will be around for issue 2 for sure. 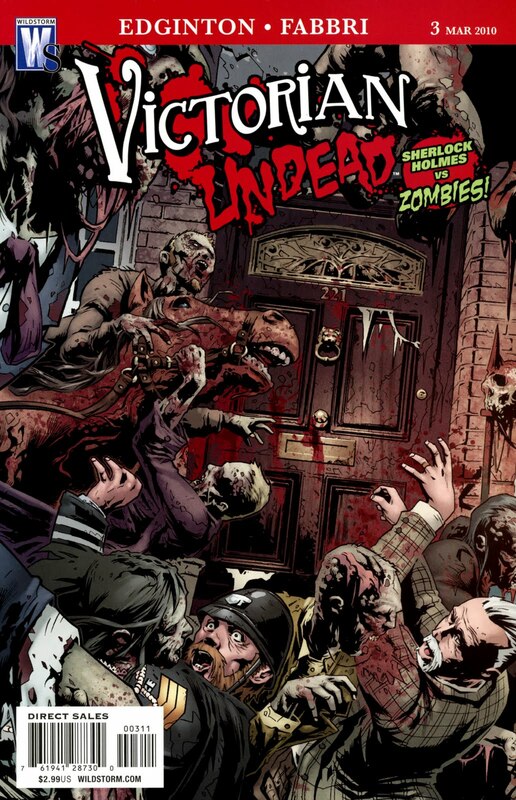 The title ‘Victorian Undead’ sums it up in the way the best high concept ideas do – and this title is a high concept idea that works. A good debut.